Anyone who knows me knows that books are pretty important to me. We’ve always had heaps of books in our house. There was a time when my son had bookshelves in his room that were stuffed full of children’s books. There were predominately ones that had been purchased for him and my daughter but there were even some that were mine when I was a child. I remember when we packed up our house in Italy, the children wanted to keep most of the treasured books that they enjoyed when they were younger. 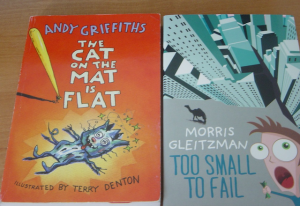 Below you will see a selection of some of our favourite Australian children’s book authors. 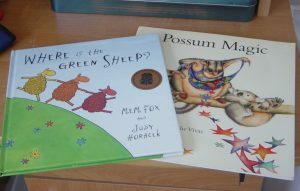 Many people will probably have heard of Mem Fox. Pictured below are just two of her books. I’ve lost count how many times we read both of the books pictured above. Fox’s website is a veritable treasure trove of information including ten read aloud commandments. I honestly say that you can’t go wrong buying a Mem Fox book. The illustrations are always fabulous and they are accompanied by the most delightful prose. Then there is Alison Lester. I’ve bought her books new and second-hand from garage sales. She is a writer and illustrator of books. We’ve spent loads of time reading her books and absorbing all the details of her illustrations. What do you do when your mum, your dad and sixteen camels are in trouble – and only you can save them? The sometimes sad but mostly funny story of a boy, a girl, a dog and four trillion dollars. 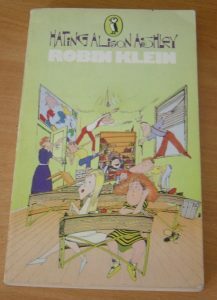 Then finally I wanted to pick an author that I liked as a child – Robin Klein. There is nothing I’d like more than for Ms 15 to be reading the small collection of Robin Klein books that I have, but she doesn’t want to and I am respecting that (fantasy YA is her current obsession). How I did like her books in particular the Penny Pollard series and Halfway across the galaxy and turn left. There are many, many other Australian authors out there. I suggest you start by reading this if you are interested in discovering more. 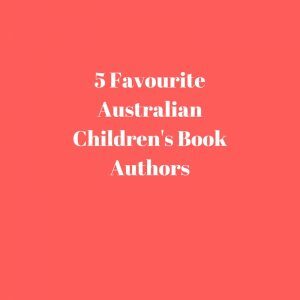 If you have a favourite Australian children’s author who is it and why? I’d love to hear from you. 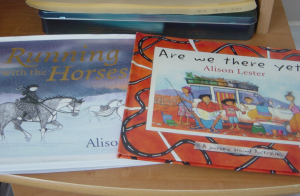 This entry was posted in Australia, Reading and tagged children's books by Cathy Powell. Bookmark the permalink.